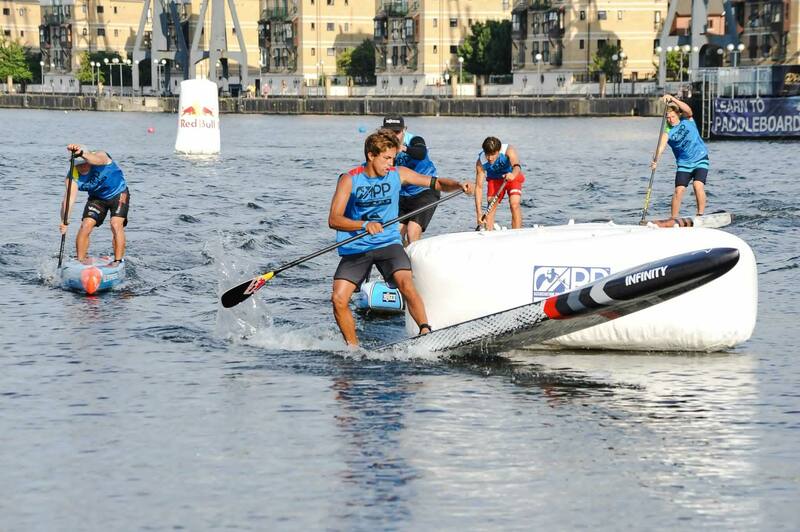 A Infinity raceboard and an 11 year old – SUP, Windsurfing UK. 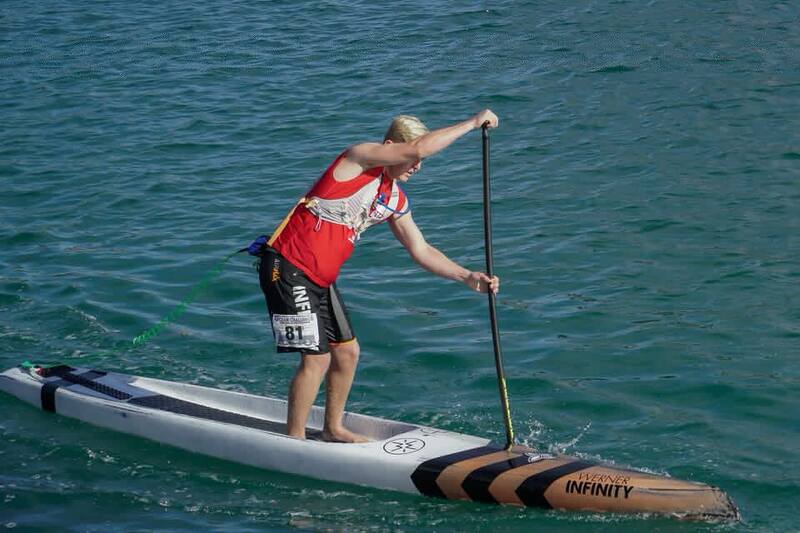 We were so lucky to meet with the Infinity SUP Race Team at the APP Tour in London a few weeks ago. It was an awesome experience to see these athletes doing their thing and hang with them for a while. Our trip to London was to not only meet with the guys from Infinity, but to take their kit and bring it back to the shop so they didn’t have to ship it back home so we were obviously more than happy to help. The boards we brought back included 14 and 12’6 Blackfish and Whiplash models each of which was a custom build using the latest Team Carbon layup. The Blackfish is an allwater race machine that has proven itself in all spheres of racing. The boards left with us had been ridden by riders including, Kai Lenny, Slater Trout, Tyler Bashor, Chloe Walkerdene, Candice Appleby and Shae Foudy, so given that chance we were super stoked to be riding kit designed for them and seeing just how good those boards really are. Anyway, back to my original post story and that is about my own daugther. She came came with me to the APP Tour, London and watched and chatted to the girls on the Infinity team and as with any 11 year old she looked on in awe as they showed how good girls are. Suffice to say my little girl was hooked and ready for a challenge. All of the boards sold really quickly as people were amped after seeing the pros, but we decided to keep the Whiplash and 12’6 Blackfish the Shae rode for our own demo fleet and this was all Amy needed to set her plans in motion. A sunny evening and a trip to the local canal turned into her first chance to show what a great technique she has and whilst a 23 wide board is no real challenge for someone who is just over 4ft tall, it still takes a natural ability to make it look really good. Here’s Amy riding the 2018 Infinity Blackfish 12’6 x 23. Team carbon edition, it is rock solid and strong, but lightweight so the responsiveness you feel through the board is instant.